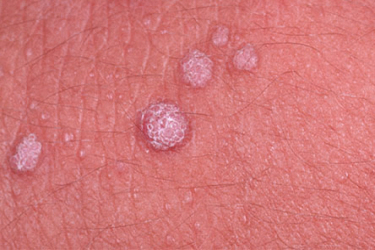 Horrible warts are something the majority of us get at least one time in our lives. We all want to get rid of these as soon as possible especially if they are in places that everyone can see like our knees, elbows and hands. Although they are completely harmless, none of us want these skin growths attached to us. The cause of a wart is from a virus called the human papillomavirus or HPV and equates to more than 100 different types of viruses. What happens is the virus attacks and conceals itself into the top layer of our skin which is also known as the epidermis and then grows at great speed. This then turns into a wart. You will recognize a wart from its pale coloured exterior and around 50% of the time they will simply go away on their own without treatment. This can take anything from months to years. Although anybody can develop a wart they are most common in young adults and children and can spread and multiply easily. When this happens it is important to get them treated as soon as you can to stop them progressing over large areas of the body. “There are a number of factors to take into account when treating warts, how to treat them can depend on the virus that has caused the wart and where it is on your body. For example if you have a wart on your face or other noticeable place on your body that may scar, you should speak to your dermatologist for ways of reducing scar formation. 1. Salicylic acid product. You should not apply this product to your skin if you have reduced circulation problems or diabetes, but this particular acid will try to dissolve the wart. It will do this initially by making it a little softer and you can purchase this over the counter. 3. Salicylic acid plaster pads. Apply Vaseline to your good skin that is around the wart in order to protect it. Apply a salicylic acid plaster pad to the wart directly and change the pad every 4-5 days. 4. Over-the-counter freeze off products. This product works by burning the wart off using a silver nitrate chemical. This is allowed to be used at home for small areas but although it is relatively painless, it will burn any skin that it comes into contact with, so ensure it is applied to the wart only. If you are unable to remove the wart yourself and any of your home remedies for warts don’t seem to be working, give your doctor a call as they will usually use other methods within their office to get rid of them. However, if your case is more severe, they may refer you to see a dermatologist. I have a plantar wart and I decided to use duct tape to treat it. I will wait for the outcome and I hope everything will turn out well. I use duct tape all the time. It typically takes care of the wart within two weeks. Thanks for sharing these effective remedies against warts. Salicylic acid seems to be the winner as it’s contained in many over-the-counter treatments.